Two days of snow in The Netherlands - hundreds of flights cancelled, public transport came to a halt, one can imagine the situation - some find it hard to remember the joy of snow. 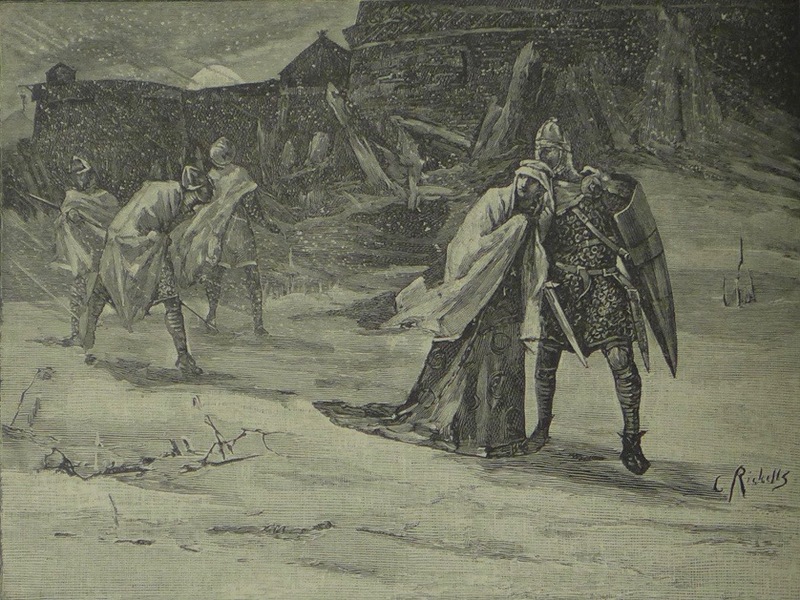 Here is how Charles Ricketts and Charles Shannon depicted snow in the early 1890s. Empress Matilda was said, in one of the more popular versions of this medieval story, to have escaped from the castle in December 1141, while the Castle Mill Stream was frozen over. According to myth, she was dressed in white as camouflage in the snow. Ricketts depicted her, wearing a white mantle over her dark dress, to stress the camouflage. 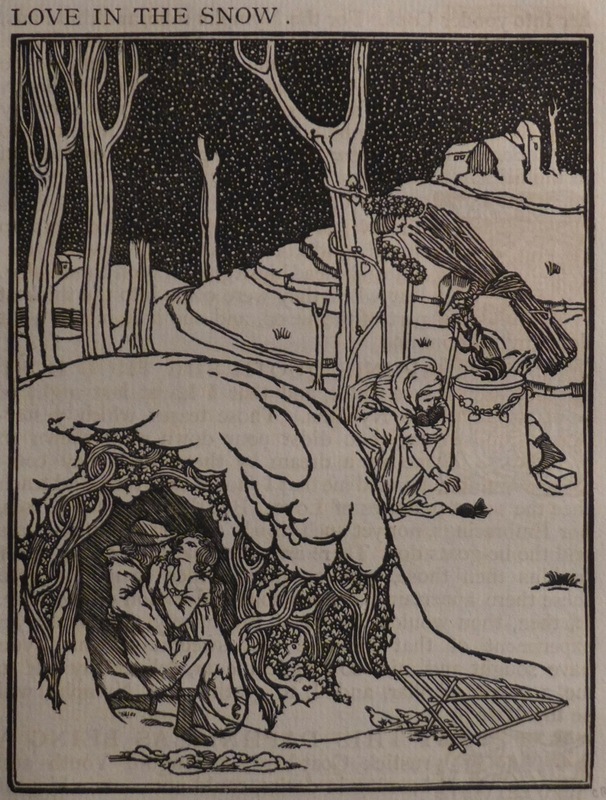 Two years later, Charles Shannon did a first attempt at lithography, and produced a limited edition of 'The Vale in Snow'. (See blog 85). 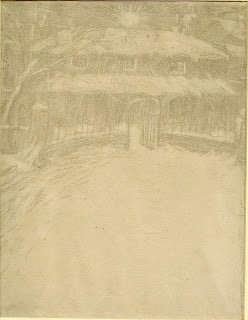 The lower half of the image is empty, that is, full of snow, while in the background, every object is only visible because of it being covered in snow: the garden wall, the roof, the trees. 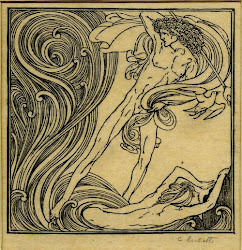 In 1894, Ricketts and Shannon collaborated on Daphnis and Chloe. A scene, called 'Love in the Snow' was designed by Ricketts.